Whether you consider yourself an expert in the art of drawing or the art of doodling, there's always room to take your scribbles to a new creative level. Yes, a level even beyond your work notebook. 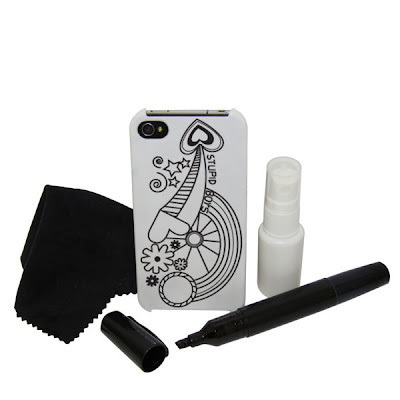 Here's five fabulous new things you can draw all over. 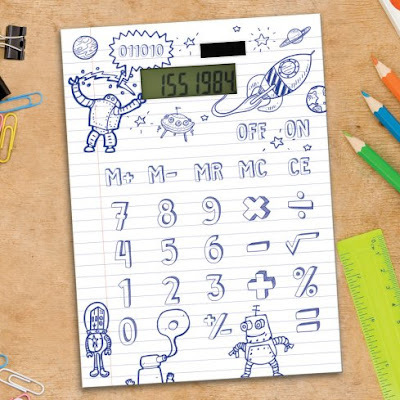 Apparently you do have to start with the numbers in the right place but other than that you're free to decorate this Draw It Yourself calculator as you please. It's surely the 21st century alternative to carving the initials of your beloved into your calculator case with a compass. Because - although they've covered it with pictures of robots and spaceships - you'd obviously cover it with notes about who was the cutest in your maths class, right? Or possibly the cutest of your work colleagues if you are over the age of 18 and have no sense of shame. It's £6.99 from Monster Stuff. Much more fun than writing lists all over your hands is drawing all over your wrists. 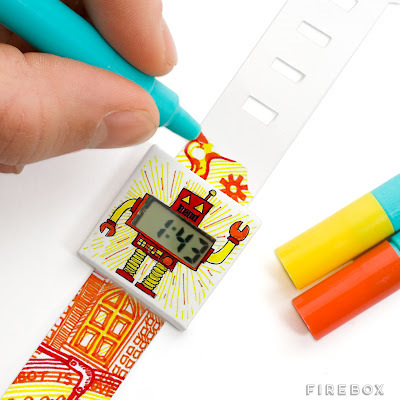 This paper watch, a blank canvas for your art, is apparently tear resistant (I'm guessing it's made from something like those festival wristbands) so your drawing can be preserved for ever. Unless you wear it in the shower. Or to do the washing up. Just remember to treat your doodles with the honour they deserve, okay? It's yours for £9.99 from Firebox. Remember the doodle duvet? And the tablecloth? 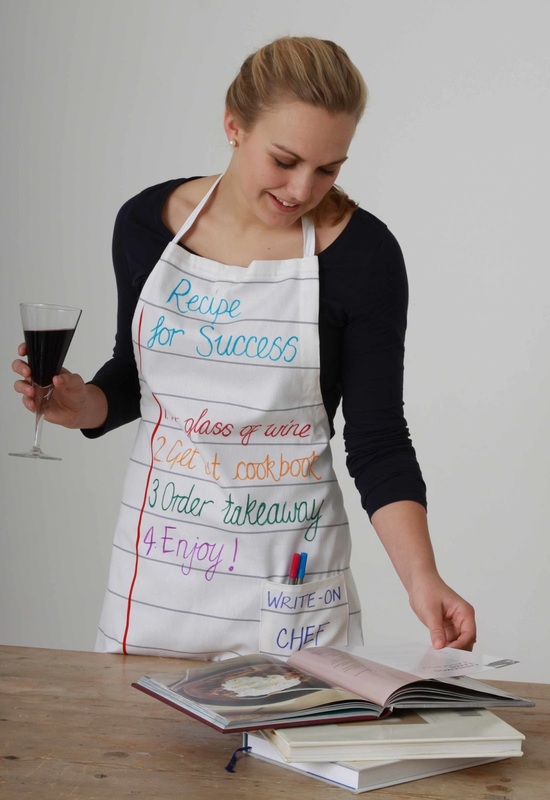 The clever people behind both those designs, Stitchdesignworks, also produce a doodle apron. Priced at £16.50 it comes with a set of wash-out pens that you can use to jot down ingredients, instructions and timings while cooking. Or use them to tell someone to get the hell out of your kitchen. Whatever you decide to say, it'll be gone when you put the apron through a 40 degrees wash. 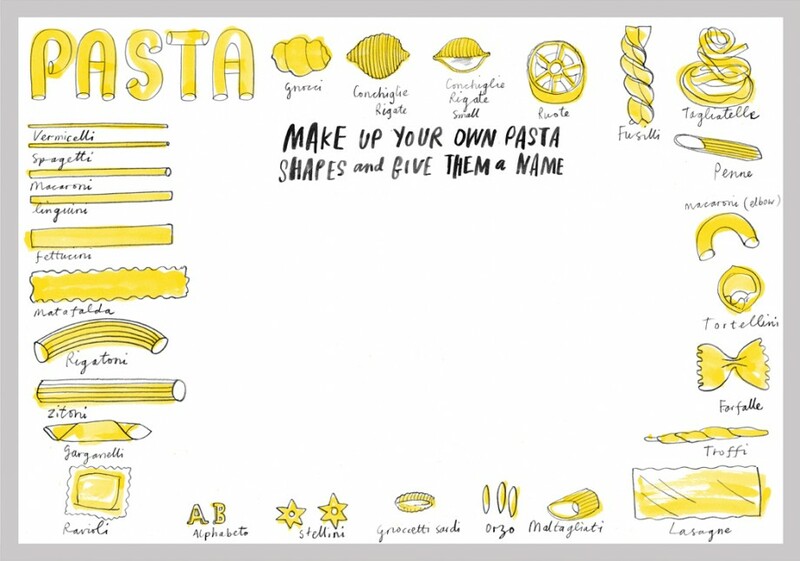 Your doodle aprons and tablecloths are best served up alongside a doodle placemat. 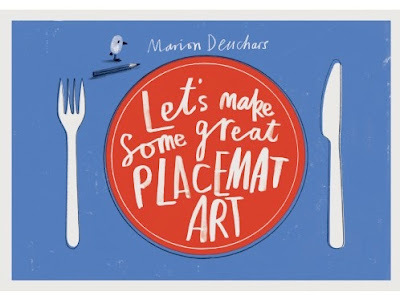 Marion Deuchar's Let's Make Some Great Placemat Art is quite wonderful indeed. £8.95 (currently £6.71 on Amazon) gets you 36 different placemats to play with, featuring nine different design. 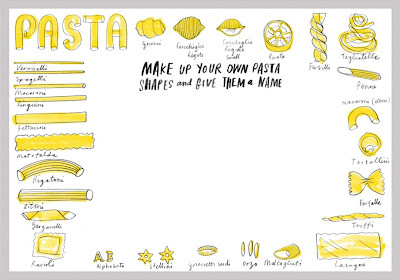 It's probably meant for kids but I'm sure we've all wanted to invent our own pasta shapes at some point. So go, let your curiosity and creative juices run wild. And, remember, thanks to Stuff Your Doodle, you'll always be able to let your creations run wild too.